Daily Illuminator: On A Roll At ECCC! March 5, 2017: On A Roll At ECCC! 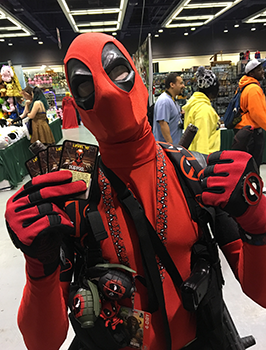 We're having a blast at Emerald City Comic Con! SJ Games is at the Washington State Convention Center in Seattle, playing all sorts of games. 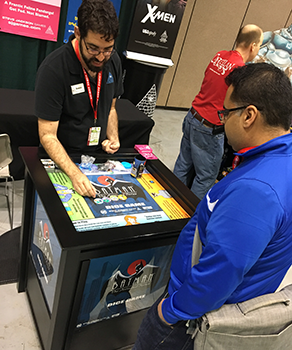 Stop by booth 909 and say "hi" to Andreas, Guy, and our Seattle MIB Demo team, and play our latest games! 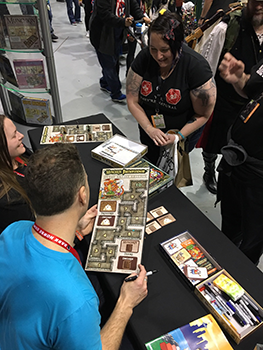 We had a big crowd show up Saturday afternoon for Shane White, illustrator of Munchkin Pathfinder Guest Artist Edition and Munchkin Pathfinder 2 - Guns and Razzes. 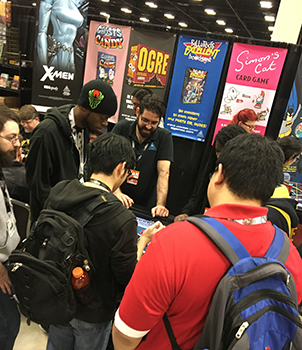 Lots of swag was handed out, demo fun was had, and tons of happy fans got signatures! We've also got in a lot of demos for Super Munchkin Guest Artist Edition, featuring the art of Lar deSouza. Early copies of all three of these games are also available (but are going fast)! Meanwhile, Command Posts were crushed and Ogres were destroyed in Ogre Sixth Edition. 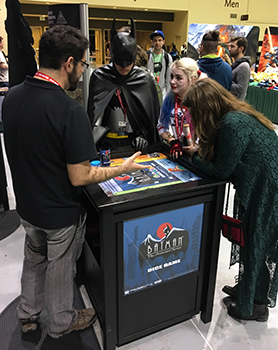 Players got into a villainous mood playing Batman: The Animated Series Dice Game using our special Batman table. 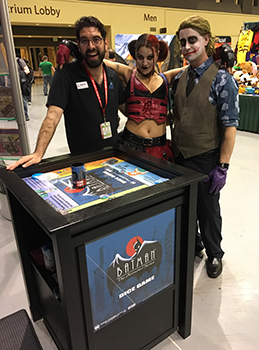 Batman, The Joker, and Harley Quinn even stopped by to play a round (it's so hard to get them in a room together)! 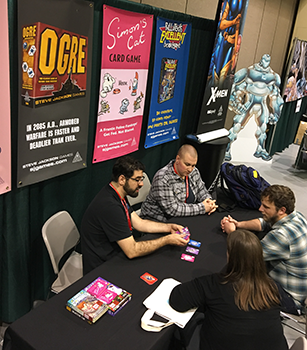 Attendees also previewed our big summer release, Ghosts Love Candy. Stop by to play and get your own copy to take home; quantities are very limited, so make sure you get to the booth soon! We'll be running demos and answering questions about our games for the rest of the weekend. 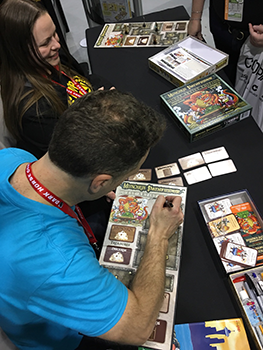 Don't forget, show us your social-media post with the hashtag #ECCCSuperMunchkin and you'll receive extra swag. See you soon!